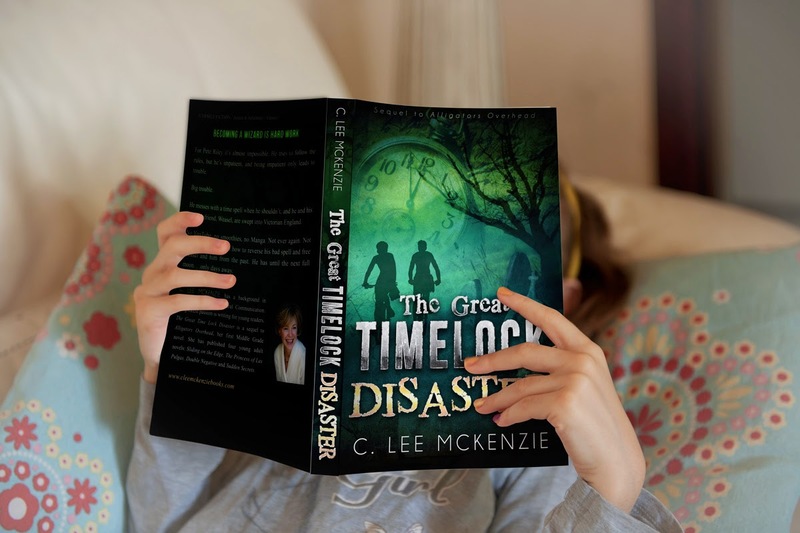 Today, I'm turning my blog over to C. Lee Mckenzie. Read about her release and join her contest. You can find me at Michelle Howard's blog as she helps me celebrate the reissue of Keepers of Sulbreth from Musa Publishing. Also, if you didn't check in on my post yesterday at Dianna Gunn's blog, The Dabbler, I would love to hear your thoughts as I share who and what helped my career in the early days. There's nothing’s more dangerous than a wizard-in-training. And Pete Riley, has just proven it. He's worked a bad time spell--a very bad time spell. No YouTube, no smoothies, no Manga. Not ever again. Not unless Pete figures out how to reverse his spell and free Weasel and him from Victorian England. He has until the next full moon. Only a few days. Here’s how the story starts, and it only gets worse. One minute the clock was tick-tocking on the mantel and the next it was a smoldering mess. “No,”􏰁Harriet shouted. Then she braced one hand on her desk and covered her eyes with the other. Pete froze, not blinking, not breathing, but waiting to see if Harriet would point one of her long, bony fingers at him and turn him into a turnip or something slimy. 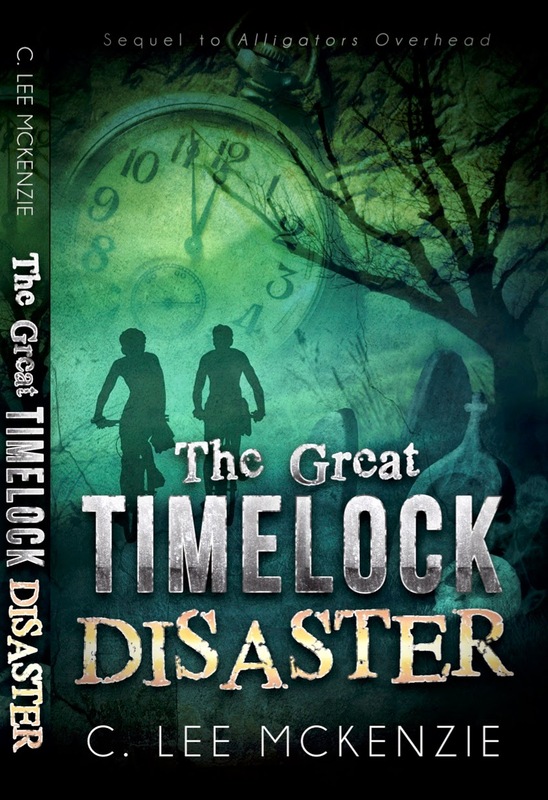 To celebrate the launch of The Great Time Lock Disaster I'm giving 20 eBooks away. Hope you'll jump in to the copter and go for a ride! Usually, C. Lee takes on modern issues that today's teens face in their daily lives. Her first young adult novel, Sliding on the Edge, which dealt with cutting and suicide was published in 2009. Her second, titled The Princess of Las Pulgas, dealing with a family who loses everything and must rebuild their lives came out in 2010. Double Negative (2014) was her third young adult novel. Researching it turned her into a literacy advocate. Her fourth YA, Sudden Secrets came out in December 2014. When she really want to have FUN, she writes middle grade books. Alligators Overhead and The Great Time Lock Disaster are now available. 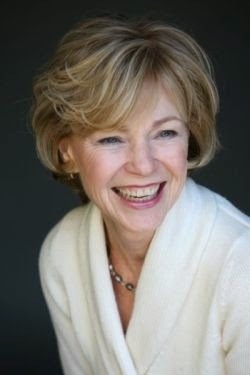 Are you familiar with C. Lee and her books? Have you met Michelle Howard or Dianna Gunn yet? What are your plans for the weekend? Are you thawing our or deeper in the freezer like us? No one wants to be a turnip! You know, I'm not sure I've ever eaten a turnip, but I have certainly heard many unfavorable things about them. If you've never eaten a turnip from my garden, you haven't lived. :-) Turnips get a bad rap, but I'd never turn Pete into one. He's more of artichoke kind of kid. Thanks for featuring him here, Susan! I don't think being a turnip would be fun. My luck, someone would come along who LOVED turnips (I only like them raw). Gotta say there would be a lot of people rooting for him to get things straightened out--no Youtube? Yikes. I'm loving the fact that every comment so far has focused on the turnip (which are very tasty, by the way). The story does sound like a lot of fun. I had no idea that turnips would be the keyword in this story, but I'm loving it! It's been making me smile all day. Who knew? Cool. Love the title and the cover Lee. Sounds like a great read! Congrats to Lee. :) Have a good weekend and stay warm. Thanks for hosting Clem, Susan. Love the cover and the glimpse into the story. Hi, Lee! Congrats on your latest release. "A turnip or something slimy..." I loved that. Congratulations on the new release. I really like the cover art, too. Lee's writing is super fun. Congrats!